Netbooks have been one of the big crazes (in computing at least) over the past 20 months or so and they were the cause of a massive spike in laptop sales last year. It's amazing to think how far we've come in such a short space of time when you look back at the first generation of these dinky little devices. Oh yes, we're talking about the iconic Eee PC 701, which made many compromises but it did hit a very low price point and, in the wake of its success, Asus continued to bang the netbook drum while many other manufacturers joined the party. Intel even developed a CPU specifically targeted at netbooks and Mobile Internet Devices, which meant it wasn't long before there were some particularly attractive netbooks on the market. 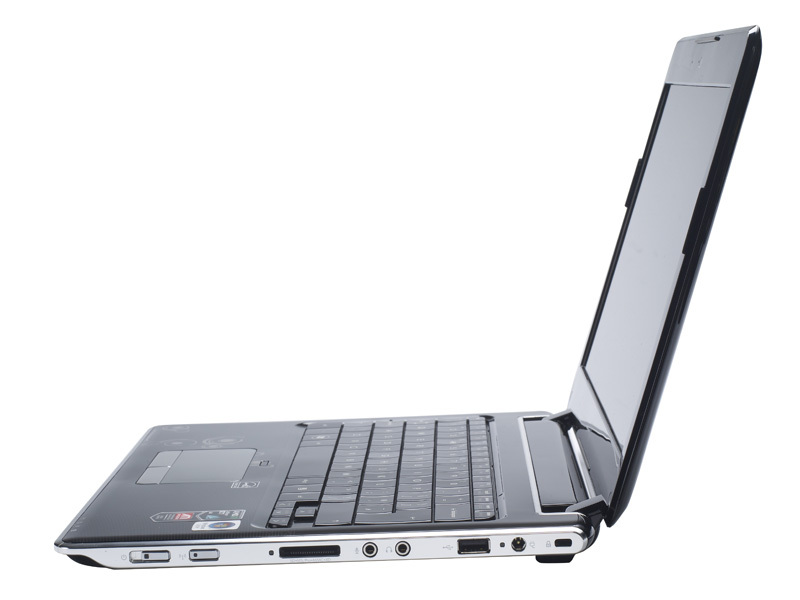 The Acer Aspire One was brilliant, as was the Samsung NC10, while Eee PCs such as the S101 certainly caught our eye. But they're all suffering from feature creep and with Nvidia's Ion platform just around the corner that feature creep is going to continue. What this has proven is that what consumers really wanted was a cheap, portable and capable laptop all along. This is where AMD hopes its Yukon platform fits in. AMD first talked about its new platform at the Consumer Electronics Show in January and the chip maker made some pretty bold claims at the time. These were naturally treated to some scepticism on our part and we came away feeling a little underwhelmed given the fact that AMD itself had said the next-generation of the platform wouldn't be all that far behind – but it's not here yet. 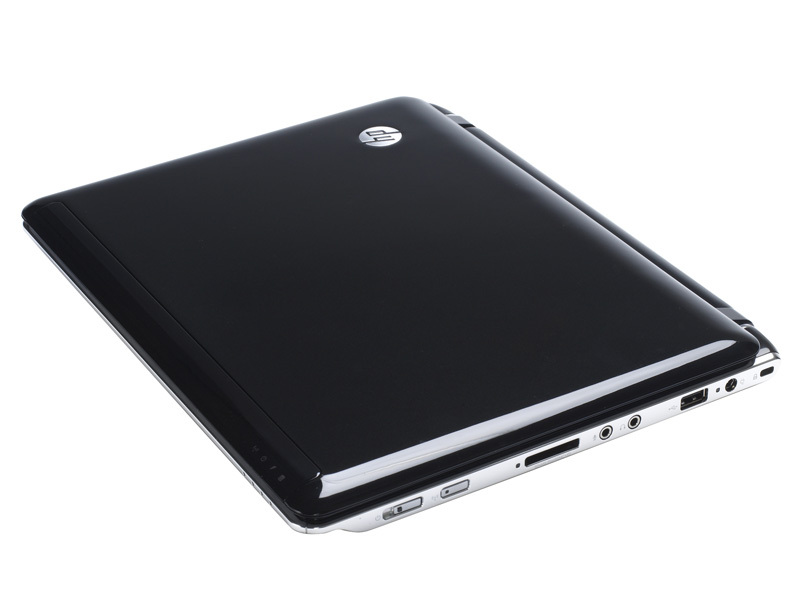 What we do have here though is HP's Pavilion dv2 ultra portable notebook – it's based on the Yukon platform which, in this instance, sports a single core Athlon Neo MV-40 processor (1.6GHz, 512KB L2 cache) and the AMD 690T/SB600 chipset, which features an ATI Mobility Radeon HD 3410 integrated graphics processor. 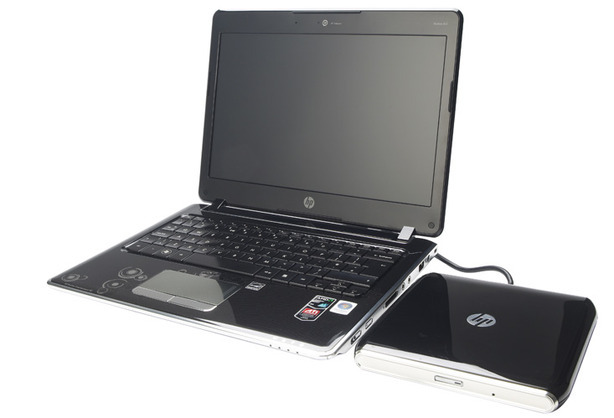 There are a number of different processor options available, but the Athlon Neo MV-40 is HP's weapon of choice in the dv2. According to AMD, the target for Yukon are devices like the dv2 which are a cut above current netbooks, and it hopes Yukon will fit into form factors typically associated with high-end ultra portable notebooks like the MacBook Air, ThinkPad X301 and Vaio TZ series. However, unlike these high-end ultra portables, the Yukon-based notebooks promise to shed one of biggest turnoffs associated with ultra-portables – they'll be affordable. Rather than just calling these lightweight, affordable laptops 'affordable ultra-portables' though, AMD felt the need to try and introduce a new class of device known as the 'ultra-thin notebook.' From what we can see, there aren't any hard fast rules to differentiate this from the typically expensive ultra-portable laptops apart from price, so we really don't understand the need for a new segment in an already oversaturated market.